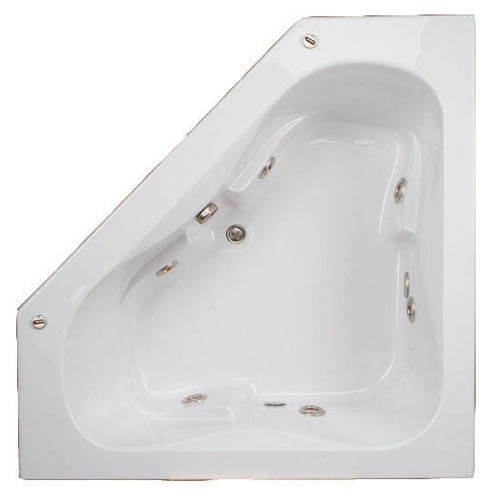 This clearance model Ambria corner whirlpool tub features six strategically positioned jets that provide a soothing hydro-massage. Includes two pillows for added comfort. This model includes the luxury package with inline heater, upgraded trim, chromatherapy lighting and multi-speed pump. Only one available. Save over $900.